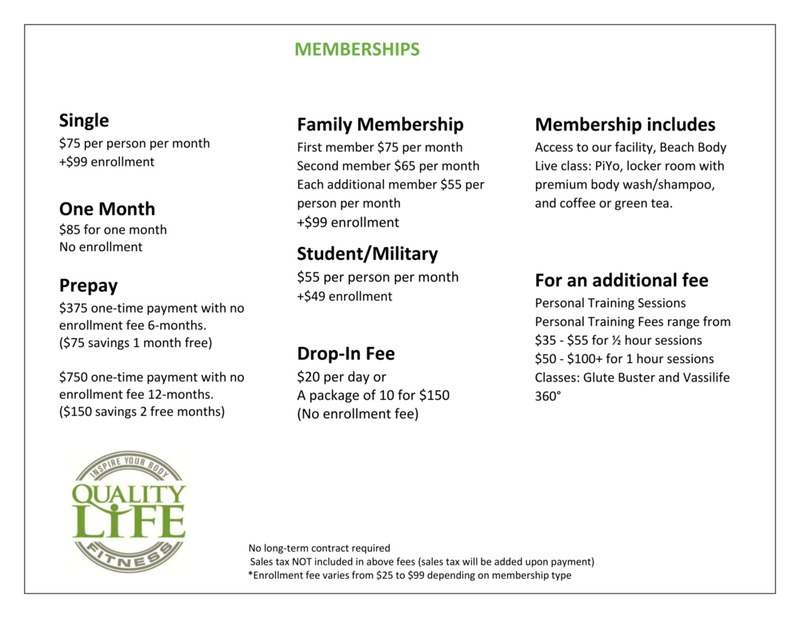 Quality Life Fitness memberships are month-to-month with no long term obligations, unlike other high end gyms in the area, a thirty day cancellation notice is all we need. Our standard monthly individual memberships are only $75 per month (plus tax). We offer family, military and student rates as well.